Lecture : 3D modelling and its use in cultural heritage. Overview: This exercise introduces the basics of 3D modelling: TinkerCad is an introductory online software modelling tool made by AutoDesk. 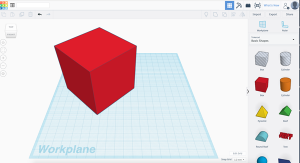 TinkerCad’s simple interface is well suited to previewing how 3D modelling works, as we’ll be doing in this tutorial. But it obviously it has its limitations. In units like FIT1033 Foundations 3D, we use AutoDesk Maya, one of the most powerful 3D modelling software titles available. However, Maya’s complexity makes it ill-suited to an introductory exercise; it takes almost an entire tutorial just to overview the interface! This tutorial will be split into two parts, in the first part, you’ll be using Tinkercad to create the form of a building. You’re in! Now you can experiment with placing shapes, rotating the model, changing colours etc. Several key shortcuts are the same as in Maya, such as pressing ‘F’ on the keyboard to focus on the model, and holding down the Shift key while scaling the model to keep the scaling proportionate (so that it doesn’t stretch or squash). Use the cube in the top left corner to navigate around your 3D geometry. Once you have familiarised yourselves with the Tinkercad interface, you can commence modelling a basic 3D structure. This step by step guide shows you how to use basic polygons to construct a building with hollow interior, an arched doorway and a roof. While the process for modelling this building is greatly simplified, the techniques are fundamentally the same as those used in more complex 3D programs used by architects and heritage professionals to model architectural structures. Note particularly the use of negative 3D space (designated by the dichotomy of ‘solid’ vs ‘hole’) to create empty spaces by overlapping and superimposing shapes. 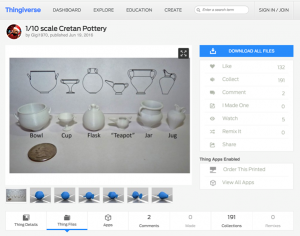 Try search terms for 3D models with a heritage theme. You could try the search terms ‘archaeology’ ‘rome’ or ‘museum’ – but there are many others besides. To bring these models into Tinkercad, click on the ‘Thing Files’ tab and select one of the model components (often there are several). Download one of them (your choice). After its downloaded, go back into Tinkercad and find the ‘import’ button (top right), and drag and drop the downloaded .stl file into the import window. With a little trail and error, you’ll be able to work out which models work and which don’t. You may note that many of the digital heritage models available have been captured by heritage professionals and amateur enthusiasts, and are often accompanied by detailed descriptions of the objects history and significance, particular those derived from museum collections (example). Compare, for example, the 3D model of the ‘Acropolis Kore’ at which is highly detailed and, at 41 meg, far too large to import into Tinkercad. The ideal candidates for import are models like this one, which is significantly smaller in file size but not obviously compromised in detail, and this scaled down set of Cretan pottery vessels, which are even smaller still. Also read Sarah Kenderdine’s article about creating immersive museum exhibits from high resolution imaging. 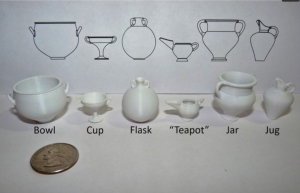 Beyond simply recording and archiving artefacts as 3D models, what are some of the broader and also more specialized uses of 3D scanning and 3D printing for Digital Heritage? How might these increasingly vast libraries of 3D scanned artefacts be used in the future? When might modelling basic, handmade, geometry be preferable to high detailed scans? 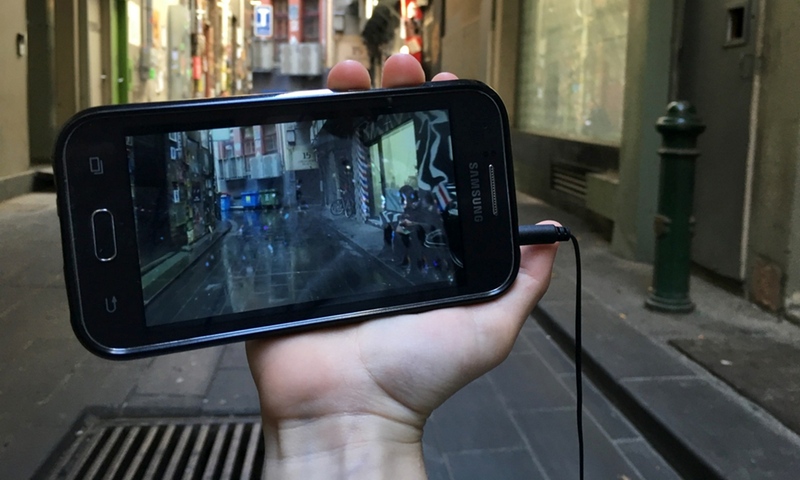 How do you see 3D technologies being mixed and repurposed between the real and the virtual? When might the 3D ‘forms’ relating to a particular culture be considered as inviolable or restricted? Should everything open for creative ‘re-mixing’ and interpretation?